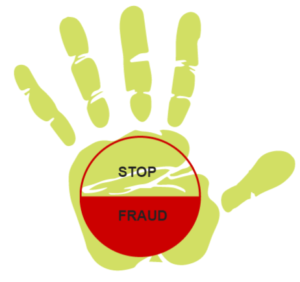 The ACFEs 2014 Report to the Nations states that the most effective method for reducing workplace fraud is to implement an ethics hotline to allow and encourage employees, customers, and other stakeholders to report fraud, corruption, and other wrongdoing. Tips have been shown time and again to be the most common way fraud is uncovered (40% in the 2014 survey), and anonymity makes it far more likely that people will come forward with information. So doesn’t it make sense to implement an ethics reporting system where you can anonymously capture employee tips on fraud, waste, and abuse? In today’s corporate environment, there are have been so many examples of fraud, negligence and abuse of power, that it has become the norm. Statistics from various reports document that 40% of people believe their businesses have a weak ethical culture although 62% were confident in their firm’s senior leadership. Over 30% of those surveyed said their managers don’t display ethical behavior. These conflicting statistics demonstrate the organizational angst experienced by many companies. When introducing an ethics reporting program, or whistleblower program, to your organization, there are some things you should take into consideration as you are undergoing the implementation of such a tool. During the past few decades, attitudes towards whistleblowing have evolved considerably from the early days of the “company man” atmosphere where loyalty to the organization was the ruling norm. Today, outrage over corporate misconduct has created a more encouraging climate for whistleblowing. The attitude towards whistleblowing has progressively morphed from “snitch” and “lowlife” to “savior” and someone who “informs”. Not only are tips by whistleblowers the most common detection method, almost half of the cases in the 2014 ACFE report were uncovered through an employee tip. Never should it be positioned as a tool for snitching or deriding your fellow colleagues or for vacuous complaints. This system needs to be elevated and touted for what it is – a tool to empower employees to identify wrongdoing and to protect the integrity of the organization. One of the benefits of the introduction of this system stems from management messaging that they are ready and committed to provide the communication tools necessary. The correct answer is Ethics Champion. WhistleBlower hotlines can be used within any size of organization, from small, family-run organizations to large multi-national companies. The key to the success of the hotline is that employees are reassured and have confirmation that they can come forward with reports without fear of retaliation, and most importantly that they have the right to remain anonymous. Both of these commitments are integral to the success of implementing this type of program. We’ve seen far too many cases of whistleblower retaliation in the news lately, when brave individuals come forward to report on potentially very harmful misconduct. But with these unfortunate retaliation cases, many whistleblowers are winning their battle against their retaliation. In a recent post, we wrote about whistleblowers being those loyal employees who’s only interest is in the success of the employer. Let’s face it. It’s not easy to give voice to ethical concerns that have been building up in your employee’s conscience. Your employees more than likely sit on their concerns for a very long time before deciding to bring them to light. A strong ethics reporting program gives all incident reporters the option to be completely anonymous. It’s human nature to worry about being blamed or having fingers pointed at you. By providing anonymity, you show your employees and stakeholders that you encourage them to come forward with their concerns, you respect their choice of privacy, and that you acknowledge their effort to start a tough conversation. The reverse is also true. Many countries require their whistleblowers to come forward in an “un-anonymous” fashion. A global third-party ethics hotline should be versatile and be customizable to differing global regulations. Shout it from the rooftops… well to a degree. Once you have decided on a system, ensure that your employees are trained on the Code of Conduct and are familiar with the reporting system and that you keep this top of mind throughout the year. Regular messaging in the company newsletter, posters in the lunchroom and an annual review are key to ensuring that your employees are aware of the service and are encouraged to utilize the system. Consistency and promotion are keys to having this tool work for the organization. If you get no calls on your hotline, that could be as much of an issue as receiving too many calls. A good balance represents a well-functioning organization. Leaders must take responsibility for ethics. It is imperative for senior executives to incorporate into their everyday planning and communications, the unambiguous message that ethics, integrity and compliance are at the core of their corporate culture. For training, specifically, group discussions led by internal managers is most effective, not only in imparting information, but in ensuring that management at all levels is seen to view these issues with the utmost seriousness. It is necessary to have all of your key management team endorse and support this program for it to permeate your organization. Whistleblowers are your ethics champions, who you should not retaliate against, who deserve anonymity, who need to be trained on your ethics reporting tool, and who expect support from the top. Don’t worry, we’ve got you covered. There’s a lot to consider when getting ready to launch a whistleblower system. Get some of these questions answered by reading the eBook on implementing internal vs. outsourced systems.